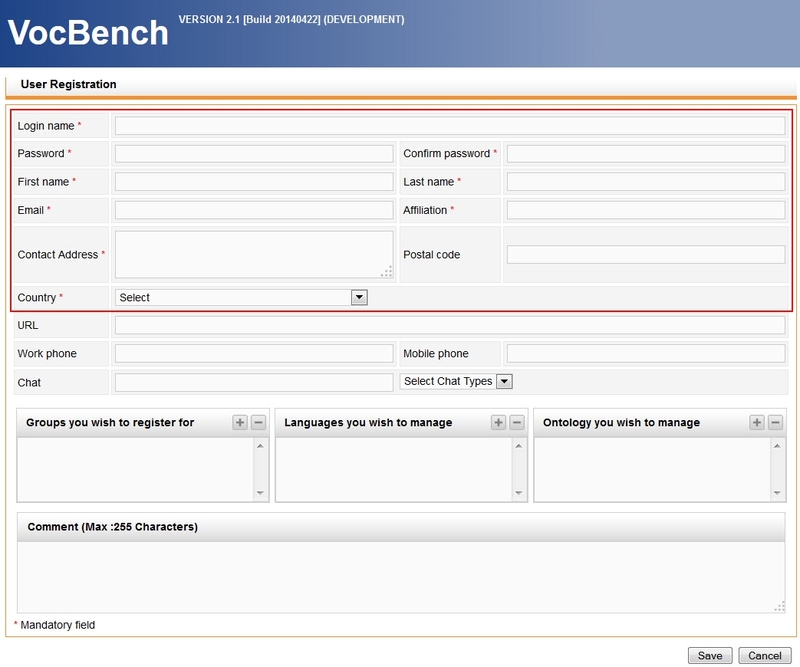 You have two options for accessing VocBench: as anonymous guest user, or log into your account. An anonymous guest user is allowed to view the full thesaurus, view proposed and upcoming changes, submit suggestions for edits, additions, or deletions, and export an RDF file of the current UAT. To log in as a guest, check the “Sign in as anonymous” box which fills in a username and password) and click the “sign in” button. It is recommended that people with a serious interest in improving the UAT create a user account. 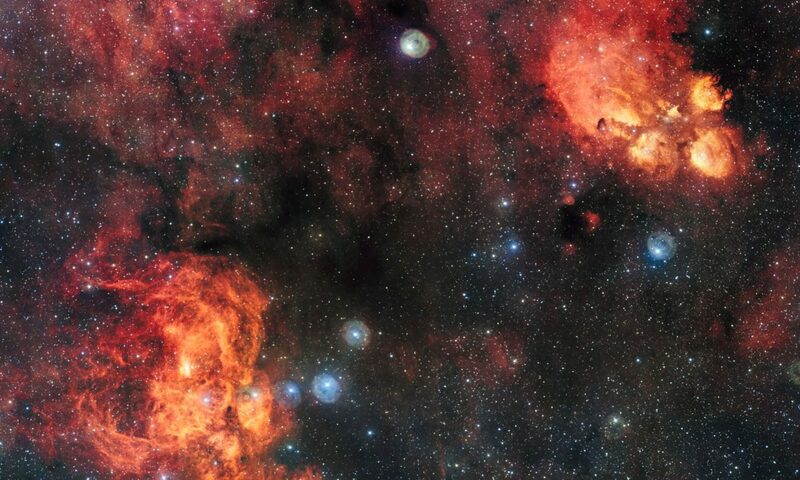 Guest suggestions will be evaluated, but they will not be given as much weight in the decision making process as suggestions from logged in users with connections to the astronomical community. To join the UAT as a contributor, you should request an account. From the main VocBench page click on the “Create an account” link. You’ll immediately be taken to the User Registration page. Fill in the top section, including choosing your username, your password, inputting your name, email address, affiliation, and address information. 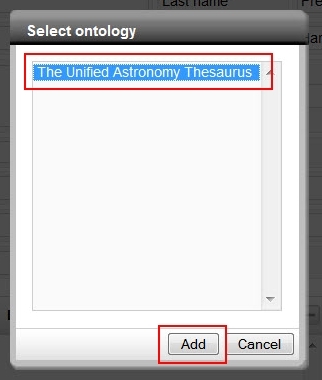 Highlight “Unified Astronomy Thesaurus” and click Add. 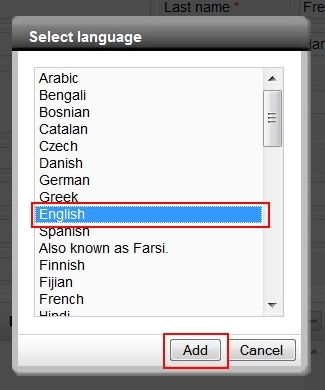 Click on the + button next to “Languages you wish to manage” and select English (currently the only language the UAT is available in). Next click on the + button next to “Groups you wish to register for”. 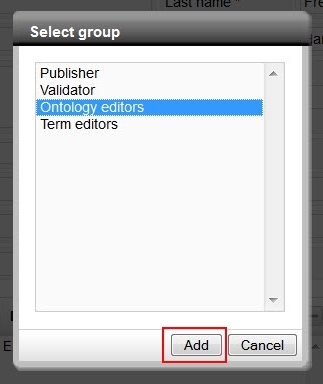 Most users will be in either the “Term Editor” or “Ontology Editor” groups. The “Term Editors” group would be appropriate for users interested in contributing to the UAT, but have no formal connection with the professional astronomical community. These users can suggest edits, additions, and deletions to terms found in the UAT. The “Ontology Editor” group should be reserved for people with formal ties to the astronomical community, such as researchers, librarians, and scientists. They have the additional ability to assign more complex relationships to terms within the UAT. The remaining two groups, “Validator” and “Publisher,” allow members to accept or reject suggestions that have been made and to publish new versions of the UAT. In addition to being knowledge in the field of astronomy, members of these groups should be committed to improving the quality of the UAT. If you are interested in being a Validator or Publisher, please contact Katie Frey via email or using the Contact Form for more information. Once you’ve chosen a group, look over your registration form one last time for final edits, then hit the “Save” button at the bottom right. You’ll be taken back to the main VocBench page, and you will recieve an email confirming your interest in registering with the UAT VocBench. Once an administrator approves your account, you will receive a second email with the Subject title “Activation of your account on VocBench” containing your registration details.